A system in which struggling students must fail before they can receive additional support is being replaced by comprehensive systems of interventions. In this breakout session, Mike provides an accessible survey of response to intervention systems and explains how RTI, combined with a professional learning community foundation, creates a powerful system for achieving high levels of learning for all students. 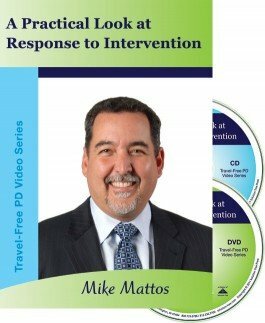 This package includes a DVD with the presenter۪s session, a CD with the presenter۪s slide presentation, an excerpt from the book Pyramid Response to Intervention, and more.